LINCOLN, Ont. — Inside this southern Ontario greenhouse, workers delicately clip each stem of a potted orchid onto thin, black stakes jutting out from its soil, marking the finishing touches on the final floral harvest before turning over a new leaf: marijuana. The Lincoln, Ont. facility, which was purchased by Newstrike Resources Ltd. last year and will be filled with cannabis plants in the coming months, is one of many across Canada where traditional crops are being uprooted as licensed marijuana producers seek to expand as quickly as possible ahead of the legalization of recreational marijuana this summer. 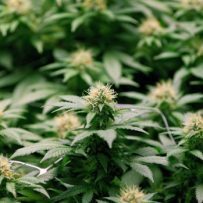 Greenhouse growers — already coping with long-standing challenges such as foreign competition and thinning margins — are facing added pressure from the rise of marijuana as a legal, commercial crop because it creates more competition for horticultural talent and higher profitability expectations for financing. That leaves indoor farmers increasingly eyeing the more lucrative source of green. “They’re doing the math and saying: ‘Hey, if I’m unable to get my prices up on my vegetables, then this marijuana thing and what they’re paying for it… might help me average out’,” said Joseph Sbrocchi, the general manager of the Ontario Greenhouse Vegetable Growers. Their newfound interest in what was once the black sheep of horticulture presents an opportunity for Canadian licensed marijuana producers looking to scale up quickly. Newstrike bought the greenhouse in August from the Westbrook Group of Companies, which is in the midst of overhauling operations as the flower business is facing new challenges including online shopping and cost increases. Newstrike had been looking at several greenhouses to take over and decided that the semi-robotic orchid facility would be best suited for growing cannabis, said chief operating officer Kevin Epp. Newstrike preferred to retrofit a greenhouse and hire some of its employees rather than build one from the ground up, which can require long application processes for permits and recruiting and training of new employees, Epp added. Others are also jumping into the greenhouse space, which offers licensed producers more natural, and therefore cheaper, growing conditions than the large-scale warehouses they first began building. In December, Canopy Growth Corp. signed a joint venture deal with Les Serres Stephan Bertrand Inc., a large-scale tomato greenhouse operator in Quebec. As part of the deal, Canopy will lease a greenhouse from Bertrand that will be upgraded and retrofitted for cannabis production by April. And in January, Aphria Inc. decided to expand its own greenhouse operations in a deal with fellow Leamington, Ont.-based greenhouse grower Double Diamond Farms, which grows tomatoes, peppers, cucumbers and eggplant in the region known for agriculture. Village Farms International Inc., one of the largest and longest-running greenhouse growers in North America, was one of the first to take a closer look at pot. In June last year, the tomato, pepper and cucumber grower inked a joint venture with licensed producer Emerald Health Therapeutics. As part of the agreement, a massive greenhouse that was used for tomatoes in Delta, B.C. is being converted to cannabis production, with options to acquire two additional greenhouses. The lucrative cannabis market is making it harder for farmers growing other crops to obtain financing for greenhouses, said Sylvain Charlebois, professor in food distribution and policy at Dalhousie University. When a farmer seeks financing for a greenhouse, one key assessment metric is the future financial performance of the facility, he explained. Marijuana not only has higher revenue potential, it also requires less labour, energy and moisture than some traditional crops, Charlebois added. In turn, cannabis has raised the bar for expected greenhouse profitability. Farmers are also facing increased competition on the talent front, with Canadian marijuana companies on a hiring spree to acquire staff for new or expanding facilities. Michael DeGiglio, Village Farms’ chief executive, said there has always been poaching in the vegetable industry, in which it can take a decade to train a confident grower. Village Farms prides itself on not cannibalizing other companies’ talent, he said, but such activity is now starting to ramp up. “There’s always poaching, and there will be huge poaching in this sector too,” he said. DeGiglio warns, however, that picking off growers with higher pay will lead to a “scenario of disaster” in the future when cannabis profits may not be so lush. Both cannabis companies and traditional greenhouse growers have said they are being squeezed, for example, from Ontario’s 21-per-cent pay jump to $14 an hour as of Jan. 1. But even when the nascent Canadian marijuana sector matures in two or three years, DeGiglio expects the margins on marijuana will still be three or four times more than vegetables. Profit margins on produce have been eroding for 10 years because of the North American Free Trade Agreement and the strain of competing with Mexico, where wages are far lower, he said.